The Start of a New Career in Liquid Joy – Damn Life is Good! 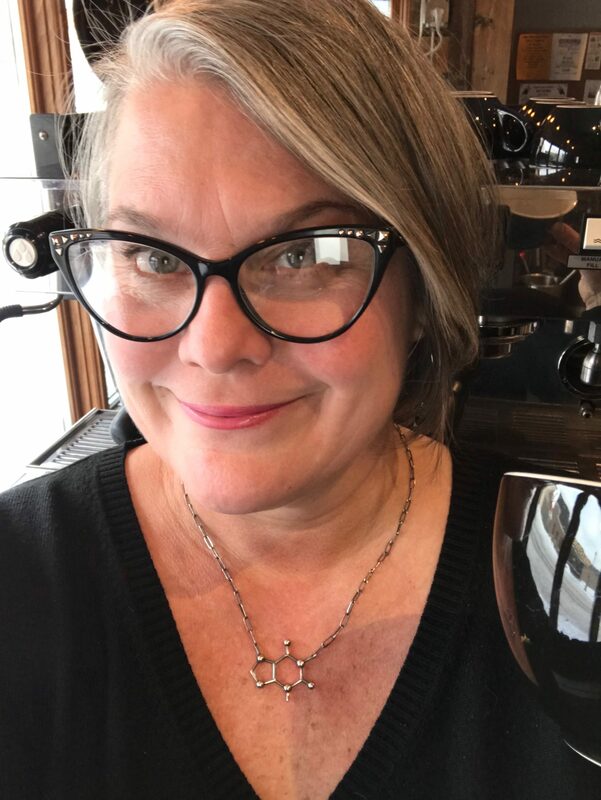 IRON RIVER, MI, April 24, 2018 – Contrast Coffee has hired a General Manager at their flagship shop in Iron River. Susan Schuytema brings decades of experience in customer service and hospitality. She has worked as a journalist and most recently as the owner of a nationally award winning wine shop in west central Illinois. Schuytema’s success in creating a neighborhood “hang out” with her Illinois business Market Alley Wines gives her the experience to help Contrast Coffee’s Iron River location become a true destination for locals and visitors alike. As the vacation season ramps up, Contrast will be increasing their staffing as well as offering events to create even more ways to learn about and experience coffee and that comfortable, cordial Contrast atmosphere. Royce Wayman will continue to serve in his role as Assistant Manager even as his new business venture edges closer to a reality. Wayman will continue at Contrast even after his new business, Wayman Electronic Repair, opens this summer. That business will offer all kinds of electronic repair including computers, devices and video game consoles. Wayman will also run a pawn shop and retail outlet while his partner will manage a gun shop. “It will be a busy time but I am excited to be a key player in the growth of both businesses,” Wayman said. After opening locations in Marquette in 2017 and Ironwood in 2016, Contrast Coffee is hoping to open additional locations in the Upper Peninsula in the coming months.